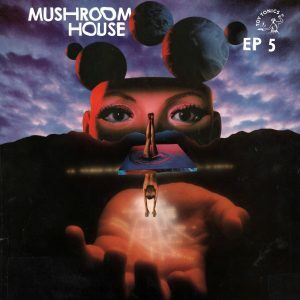 Mushroom House – The Toy Tonics series for IndieAfroDisco House comes with EP no.5. ART ALFIE and HARRY WOLFMAN made exclusive tracks. Art Alfie from Stockholm made a lot of great records with Mr.Tophat and is part of the Studio Barnhus crew. While Harry Wolfman has releases on Lost my Dog, Under the Shade and Dirt Crew on his back and is a specialist in that what somebody called the bubbling “underwater house” sound.